God led me this year to not set any Bible reading goals or plan and just to spend a year focusing on my prayer life. God was several years in leading me to this year. This year of learning more to pray. I’m at the end of the fifth month of this year. And some of the greatest events of our life have happened in these five months. 1.) Prayer. 2) Huge life events. Around month three (March), I realized these two factors are tightly interrelated. So, it’s been a happenin’ year, we could say. I wanted to record the enormous-to-me things that have happened so far this year. We’ve added some supporters. We’re almost half-way to where we need to be financially. It doesn’t sound big, but it’s been a process of seeing God lead me in various, personal ways that has been really neat. 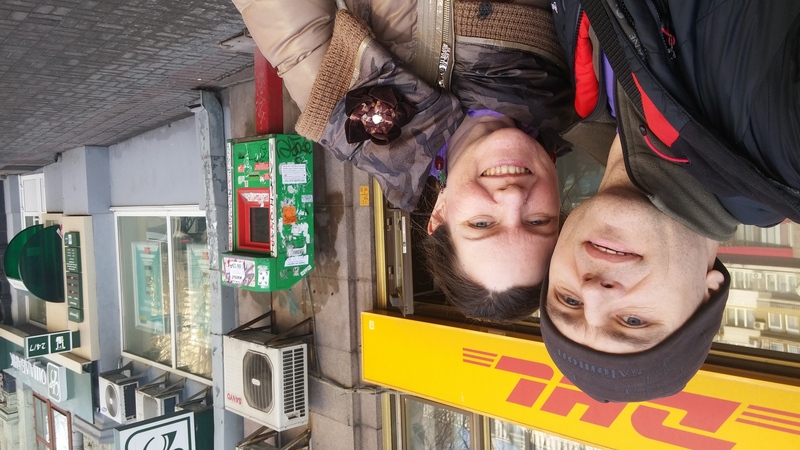 We applied for Vitaliy’s Green Card…. After thought and prayer, we had decided not to do this, but I keep it on my prayer list and was “mentioning” it to God for direction, and that direction came when Vitaliy’s visa was twice denied. We applied for a Green Card. It’s a big move for us. 3. I wrote a small book. I wasn’t even praying about this specifically, but I think it’s more related to praying about being more fruitful. This book details the relational, sanctificational steps God led me through in my early years of motherhood. It’s still it the editing stages. I’m trying not to hurry. 4. Vitaliy and I both moved into being more open to fostering or adopting a child. I’ve been praying about this for years. I still don’t know if it will ever happen, but we’ve shifted in this to being more open and ready. Good thing the bank has a big money counter thingy. 6. I asked Clay Clarkson about getting his book, Heartfelt Discipline, translated into Rusisan, and he is! Even now! This is so wonderful to me! This book had a great impact on my thinking towards my children that really helped me become more Christlike. He’s even willing to make a corresponding video series through the book, plus translate others of their books! 7. God’s been giving me opportunities to witness to people. I’m laying on the floor, figuratively speaking, in amazement over all this. It’s been quite a year. I feel like I pray with little faith… Like, I do trust God and His sovereignty… But have so little faith at the same time. Thank you for sharing what God is doing in your family’s life. I can’t wait to hear more about the apartment!